JAA celebrates past 10 years by looking ahead. Jacksonville’s airports will offer more international flights, employ tens of thousands more people, pump billions more into the economy and become Florida’s leading aerospace centers during the next decade and beyond, aviation officials said on Monday. At least that’s what the Jacksonville Aviation Authority is shooting for, its leaders said during a board meeting and press conference held to celebrate the agency’s 10th birthday. Plans are to develop some airport properties for use by non-aviation firms while also expanding taxiways and building more hangars and other facilities to attract more aerospace companies, JAA Chairman Chester Aikens said. 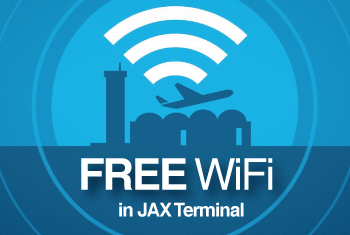 The state spun JAA off from JaxPort in October 2001 to separate the city’s aviation and seaport functions. 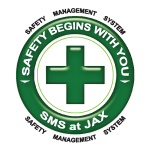 The authority operates Jacksonville International, Cecil, Jacksonville Executive at Craig and Herlong airports. They provide close to 30,000 aviation-related jobs with a payroll nearing $954 million, with a total economic impact of $2.9 billion, Aikens said. The goal is to build on that momentum, JAA Director and CEO Steve Grossman said. JetBlue’s existing flight to Puerto Rico is enjoying about 90 percent occupancy and is fueling efforts to convince airlines to open routes to more destinations in the Caribbean and Latin America, Grossman said. In addition to eventually building a third concourse at JIA, the authority will begin construction in the next year on roads and taxiways to open the east side of Cecil Airport for business. Construction on two new hangars will also begin at Cecil this year. The authority recently struck a deal worth $70,000 with the Jacksonville Jaguars. In exchange for allowing the Jaguars to design and decorate the main information stand at JIA, the airport is running ads on monitors and in other parts of EverBank Field. JAA’s tactics are part of a national trend among airports to court large aerospace firms and non-aviation companies to its properties, said Debby McElroy, executive vice president of the Airports Council International. Diversifying sources of revenue enables airports to keep down the fees it charges airlines, which in turns keeps airfares low and flights up, McElroy said. It’s critical that airports be financially creative in a lagging economy that sees airlines cutting flights, she said. Another challenge for the authority is explaining to Northeast Floridians what it is, Grossman said. Recent focus group research revealed most citizens think the authority operates JIA and just one other airport. “Many think it’s Jacksonville Naval Air Station,” Grossman said.